Welcome to West Plains Missouri, located in Howell County in beautiful South Central Missouri. West Plains is a town destined to progress. West Plains is the exciting hub city of South Central Missouri, truly described as “The Heart of the Ozarks”. We invite you to contact United Country Real Estate | West Plains Missouri Ozarks Realty, Inc We can save you time and money in locating properties throughout West Plains, Missouri and the Counties of Howell, Texas, Ozark, Douglas, Oregon, Shannon, Wright, Taney, Greene and the areas that surround the Missouri Ozarks of South Central Missouri. We offer a fine selection of homes for sale, farms for sale, ranches for sale, river property for sale, river homes for sale, lake property for sale, mountain property for sale, recreational land for sale, hunting property for sale and commercial property for sale. Missouri Ozarks: The Missouri Ozarks has just about everything. We are close to Branson, Norfork Lake and Bull Shoals Lake offering great boating, skiing, fishing and swimming. Interesting sites in West Plains include historic tours to many old mills, some of which are still operating: plus, a short drive to some of the world’s most beautiful springs, caves and clear streams and rivers. Spring-fed rivers including North Fork of the White River (trophy trout and fly fishing property for sale), Jacks Fork River, Eleven Point River, Current River and Spring River. Lakes including Bull Shoals Lake and Norfork Lake. You will find a wide selection of camping, hiking and picnicking in many State Parks and National Forests. Thousands of acres of the Mark Twain National Forest with Hiking Trails, Horseback Riding and ATV Trails. 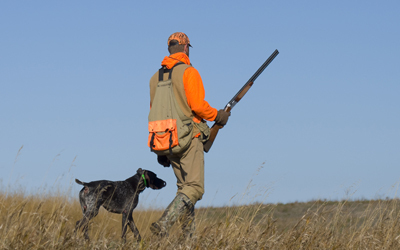 Abundance of wildlife provides prime deer hunting and turkey hunting property.